and become the best professional she can be. Sally graduated with a Bachelor of Arts in International Relations from Stanford University in June 2013. Her academic advisor was Professor Condoleezza Rice. 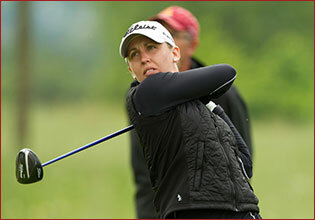 Sally turned professional after graduation and gained her full Ladies European Tour card for 2014 at the LET Tour School in Morocco in December 2013. 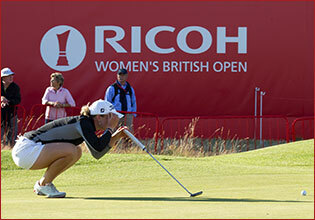 Sally finished 23rd in the Order of Merit and runner-up as Rookie of the Year in her first season on the Ladies European Tour. 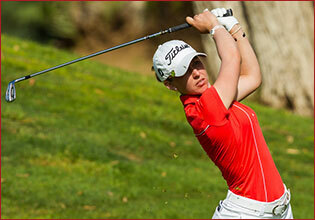 In her second season she finished 28th in the Order of Merit. 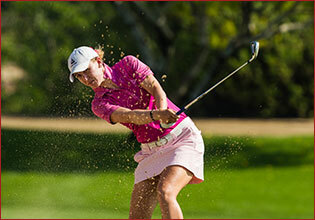 Her current world ranking can be seen here and her professional record can be found here. 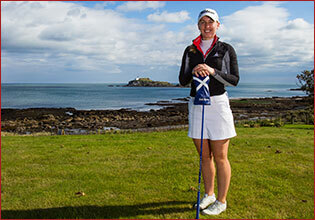 In 2016, Sally will be playing on both the Ladies European Tour and in the USA on the Symetra Tour. Growing up in Scotland and the USA (where she lived from 2000 until 2003), Sally was an accomplished all round sportswoman, also playing representative tennis and basketball as a youngster. Outside golf, Sally enjoys spending time with her family and friends, reading, listening to music and travelling. In 2006, Sally moved to Bradenton, Florida where she attended the IMG Academy as a full time resident student/athlete. She graduated from the IMG Pendleton School in 2009 and entered Stanford University on a golf scholarship in the autumn of 2009. Sally is coached by Kevin Collins, a senior instructor at the IMG Leadbetter Golf Academy in the USA and by Ian Muir in Scotland.